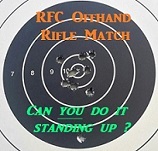 25 & 50 Yd Offhand Rifle Matches – Post all match scores & discussion here ! This rifle is indeed a blessing to be a steward of, sounds silly, but that's how I feel about it. I had wanted one since a young age, never even seen one, but wore the pages out looking. When the CMP announced that some would be made available I was so excited, but didn't know if I could pull it off. Beautiful rifle there Jay ! Oh Yeah, and that might be a PR for me in Irons. NOTES: nice groups but needed to bump the windage a bit left, forgot screwdriver, Kentucky Windage for the Kentuckian! Good shooting there Tim ! Welcome to the match ! Waiting to get a new firing spring for my Anschutz 1403 64 match with iron sights, also just obtained a MSR Silhouette 5 shot. We shoot with a small group 50 meter benchrest then 25 meter standing timed targets 4 sec exposure then 7 sec wait for 5 shots. We wont discuss age of course Still running a farm (cattle) with my long suffering wife. Hoping this practice will improve my standing scores not likely they can get worse. Hang in there - and see if both matches don't improve - any practice helps! Wow, thanks for joining us acheyj ! We are glad to have you here. Nice to have a shooter from 'down under' in our ranks. We don't worry so much about comparing scores here, it is all about personal improvement, and we see plenty of that every month. Welcome from a fellow (ex)cattle farmer ! Was really difficult shooting these scores today. I play hockey Sunday mornings and at 59 yrs old hockey takes a lot of energy out of a guy. I am really pooped posting these scores. Beer and a nap are in order for the remainder of the afternoon. Score: 466-8X I shot six targets, this is the best one. Setup: RPA rear sight, Sinclair tall boy front sight, Eric Uptagrafft bloop tube. Notes: I am still working out some bugs in my setup. The Ruger was clearly not made as a position rifle but its adjustability should certainly help. It will absolutely shoot, I just have to learn to shoot it. NOTES, WEATHER, or any other comments/excuses for how you did. Iron sight entry, 25 yards. 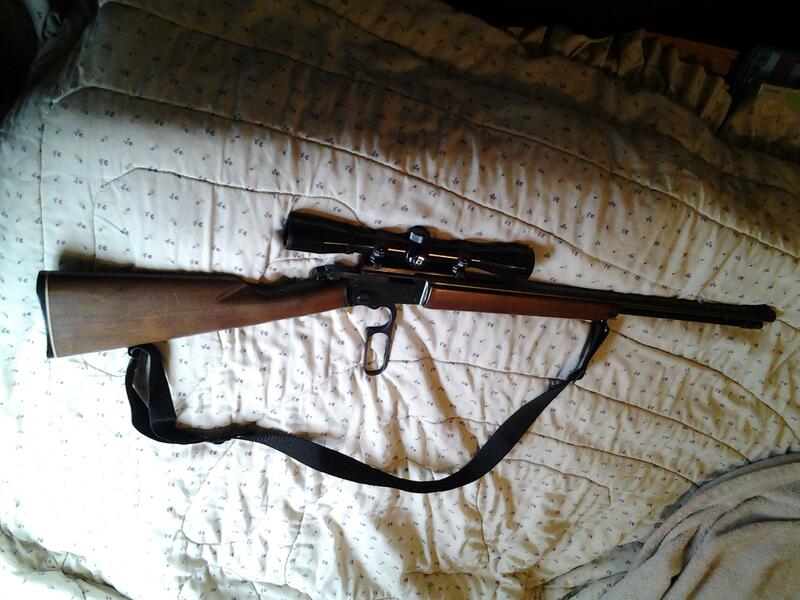 Gun: Marlin 39A straight stock carbine. Very nice shooting, also very nice to see the Marlin 39A mounties being employed. Notes: I wish I had an excuse for not shooting 485 but I don't. then thinking about all you folks shooting the single shots I broke out my 540XR, I know it doesn't weigh in like an 82G or H&R M12. now I have to break out both the 82 and M12, don't think I'll be able to do them both in one day. Think my Ruger needs a larger front aperture as I don't really get a nice white ring around the bull.